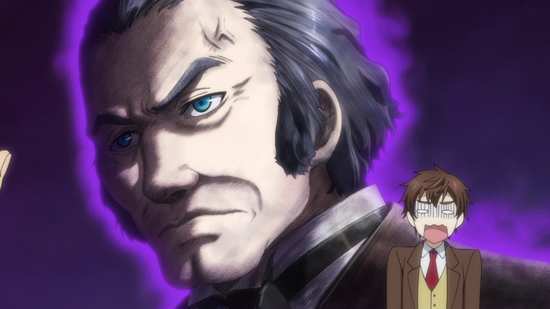 Patience isn’t one of my finer virtues at the best of times, but when the Black Butler: Book of Murder OVA was in the last Madman Entertainment New Year sale for 5 Australian dollars, I wasn’t inclined to wait for the UK release. The Book of Circus, 10 episode series was released 9 months ago in the UK, so you might expect the 2 episode OVA to come out in short order. After all, the gap in the US between releases was 4 weeks. At the time of writing, Book of Murder still isn’t on the UK release schedule, although the standard edition of Book of Circus has been released. Ciel Phantomhive was born into a life of privilege, scion of one of the most influential and powerful families in Britain. He’s cultured, he’s rich, he wants for nothing. Of course he was witness to the brutal murders of his parents, before he was abducted and tortured to the point where the only way that he could save his life was to make a deal with the devil. 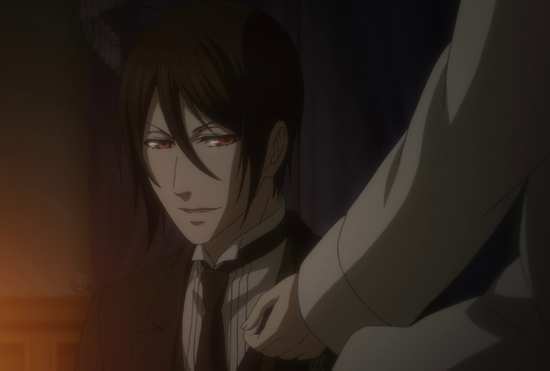 He sold his soul for a chance to find and mete out vengeance to his tormentors, which is why he is now constantly waited on, hand and foot, by the (literally) devilish butler Sebastian. 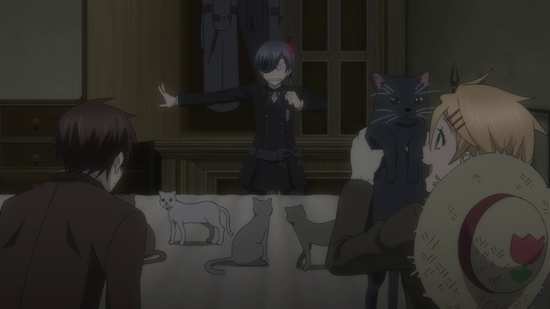 The Phantomhives have been the watchdogs of the British Empire, and with Sebastian’s aid, Ciel has taken on that mantle. Together, master and butler venture into England’s underworld, to seek out and remove those who would do evil on England’s green and pleasant land. 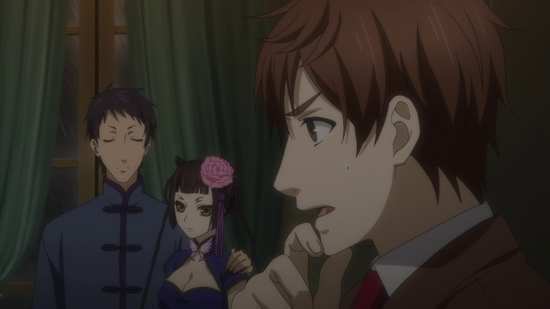 Following the Noah’s Ark Circus incident, and how it was resolved, questions have arisen regarding Ciel’s loyalty to the crown. 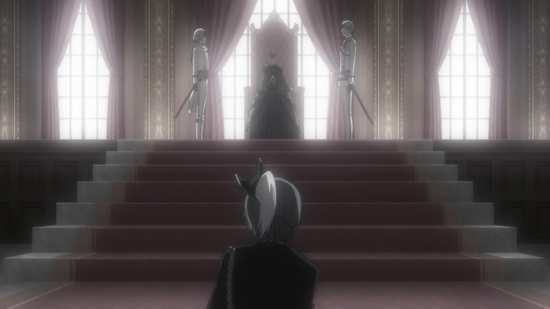 Ciel gets the opportunity to reaffirm his commitment to the queen when he’s asked to host a dinner party for a German dignitary, Georg von Siemens, also a personal acquaintance of the queen. Ciel makes sure that the dinner guests are appropriate for such a guest, including an ophthalmologist from London, whose aspiration to literature has caught Ciel’s attention. But then von Siemens is found murdered in a locked room, and suspicion falls on Ciel. And his is not the only death. Ciel will need the help of that aspiring writer to solve the crime, although young Arthur Conan Doyle feels out of his depth. 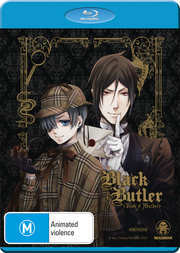 Black Butler: Book of Murder is presented as two hour-long OVA episodes on this Blu-ray disc. Black Butler Book of Murder gets a 1.78:1 widescreen 1080p transfer. The image is clear and sharp, presented on this release with no issues other than the most minor of digital banding. You’ll be familiar with the character designs from the previous two instalments of the show, and the animation is on a par with those releases, if not a nudge more fluid. The CG horses are still laughable, but the detail level in the show has certainly gone up to warrant an HD presentation. Aniplex constraints mean that this time you only get standard Dolby TrueHD 2.0 Stereo English and Japanese with translated subtitles and a signs only stream locked to the appropriate audio. As always I opted for the original Japanese track, which was more than adequate. But then there’s that dub. Let’s put it in context. A UK company could make a show, with British actors, set in America, with everyone speaking in American accents. Depending on the quality of the actors, most of the UK audience would accept that show. 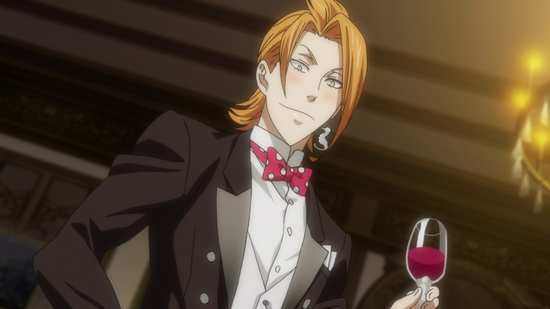 But try selling that same show to the US... Black Butler is an anime show set in Victorian England, and Funimation have created a localised dub with accents, with a predominantly US cast, and for US audiences. For them, British accents amount to upper class, and cockernee. 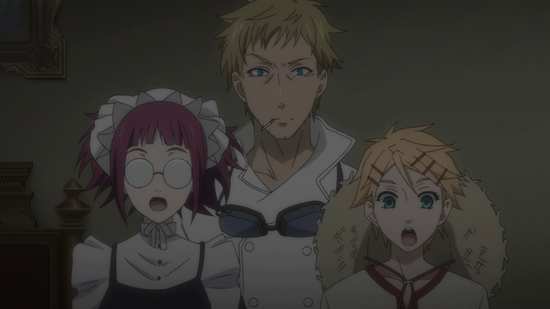 Sebastian and Ciel are tolerable, even enjoyable to listen to, but the supporting cast leave a lot to be desired, and when they start throwing in other European and Indian accents my ears start to bleed. In an ideal world with loads of money in, it wouldn’t just be Ghibli’s Arriety that would get separate US and UK dubs. You get a BD Amaray case to hold the disc, with some nice artwork on the inner sleeve. The disc boots to an animated menu, after playing a trailer for Funimation Now. There is an audio commentary on Part 2 from ADR director Ian Sinclair, Aaron Roberts (Grimsby Keane), and J. Michael Tatum (Sebastian). It’s down to the usual Funimation commentary lack of standards. You get the US Trailer for the OVA. You also get trailers for Tokyo Ghoul √A, The Boy and the Beast, Psycho Pass, Assassination Classroom, Ghost in the Shell: The New Movie, Yona of the Dawn, and Rage of Bahamut: Genesis. I think that Black Butler is one of the most enjoyable manga that I have read. Certainly it gets the combination of artwork, characters and story spot on, and I haven’t been disappointed by a single volume that I have encountered. The same can’t be said for the anime, which suffered the usual fate of exceeding the published manga and then having to rely on filler to take up the slack. The second season of anime was a wholly original story, which proved divisive among fans. I have to admit that I really like it for what it is, although I can see how fans of the manga would find it disappointing. Still, the recent decision to restore canonicity to Black Butler has been the correct one, as proven when Book of Circus was released here last year. And now we get another canon storyline adapted to anime, although this time Book of Murder is brief enough to make its debut in OVA form (although given the two hour total runtime of the episodes, you could call it a feature film and be done with it. Black Butler is a story that thrives on mysteries, and in Book of Murder it has the ultimate mystery for its protagonists to solve. 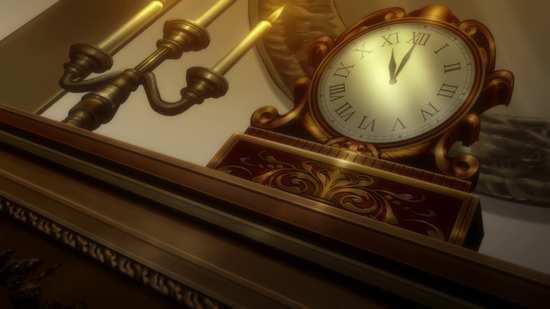 It’s a locked room murder of course, following a dinner party at the Phantomhive mansion, with infamous members of the underworld as the guests. It takes place during one dark and stormy night, while the mansion is isolated, and it falls to the guests to solve the mystery. And to make matters even juicier, one of the guests is a struggling young ophthalmologist and aspiring writer named Arthur Conan Doyle, who also serves as the narrator of the story. 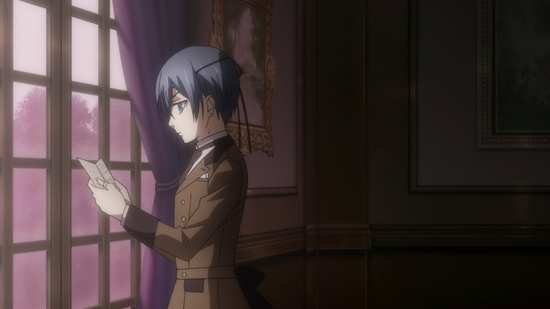 His first, and to date only published work has caught Ciel’s attention, and he’s asked to help with the investigation, but given that this was a murder in the Phantomhive mansion, and the usual supernatural nature of the mysteries, young Arthur is quickly out of his depth, especially when more murders occur. The neat touch in the story is when, as is usual in these mysteries, a new character appears from the stormy night, and proceeds to investigate the crimes. In this case it’s the local vicar, and he has a deductive approach to investigation that has Arthur furiously taking down notes. It’s the cute touch with history that makes Book of Murder so appealing, with a rather devilish inspiration for Doyle’s most famous character posited in the story. And with this being Black Butler, and with its world one of the supernatural and fantastic, it turns out that we get two mysteries for the price of one, as there has to be a solution that satisfies the rational and scientific mind, as well as the fantastic truth. 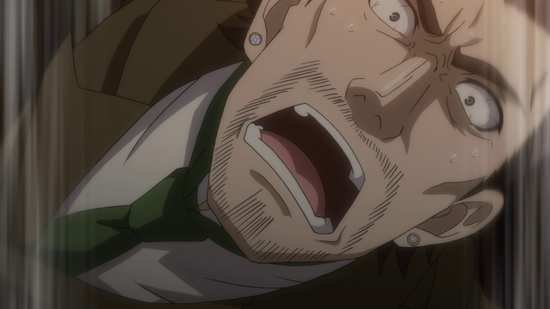 If there is one thing that Book of Murder proves, it’s that anime needs to be released in sensible order, before the hype train leaves the station. Seeing it within a reasonable space of time following Book of Circus is not only convenient, it’s necessary with how the story unfolds. It turns out that nine months is still in the window of watchability, but if the UK release is delayed by over a year, then that boat will have sailed. Trains... Boats... That reminds me. We’re also waiting on the Book of the Atlantic Black Butler feature film!